This large, wooly cat will clear your house of mice, but is affectionate and friendly to everyone else. Where do Chartreux come from? The Chartreux were thought to originate in Syria. Brought back to France by the Crusaders, they became favorites of the Carthusian monks. The name Chartreux may have come from the Chartreuse liquors made by the monks. The breed was almost extinct after World War II but dedicated European breeder helped it survive. It came to the U.S. in 1971 where American breeders worked to improve the Chartreux. What does the Chartreux look like? The Chartreux is a large cat with a round head. Eyes are gold or copper colored. The coat is medium length and wooly. The undercoat is dense and feels like sheep’s wool. The top coat is water resistant. Color is blue. The Chartreux does shed and should be brushed several times a week. Do the Chartreux’ make good pets? The Chartreux is an excellent pet, friendly, affectionate, good with children and other pets. It is a super mouser. The Chartreux will be active for short periods, then rest a while and up again. 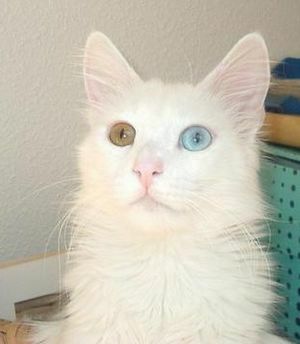 It is a relatively quiet cat. Where can I adopt a Chartreux? 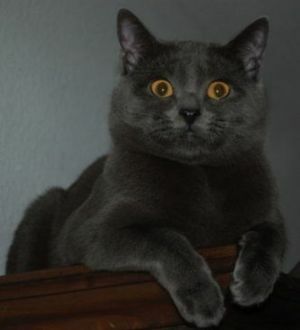 There is a National Chartreux Breed Rescue and Referral. Click here to send an email. The coordinator is Dru Milligan. 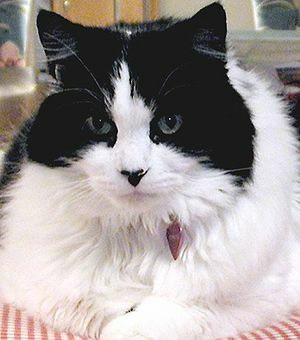 Most purebred cat rescue organizations can give referrals. 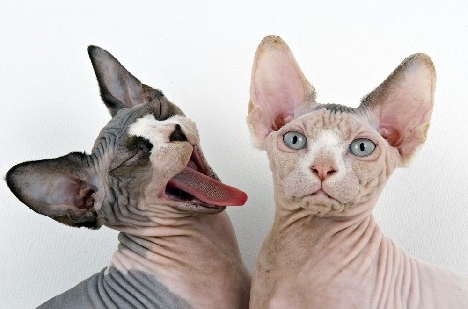 Cats that are poorly bred may have genetic problems such as patellar luxation. Choose your Chartreux from a responsible breeder.